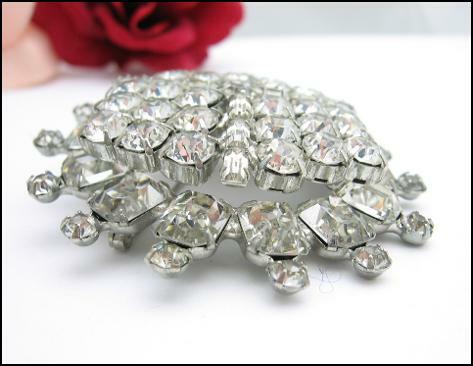 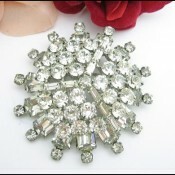 Designer signed WEISS, this fabulous RHINESTONE BROOCH is done in a silvertone metal. 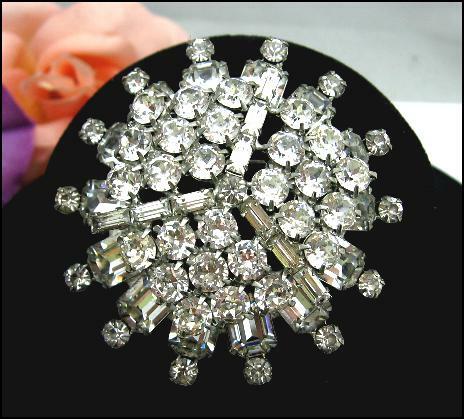 It has three lines of baguette rhinestones among the round cut stones on the top level. 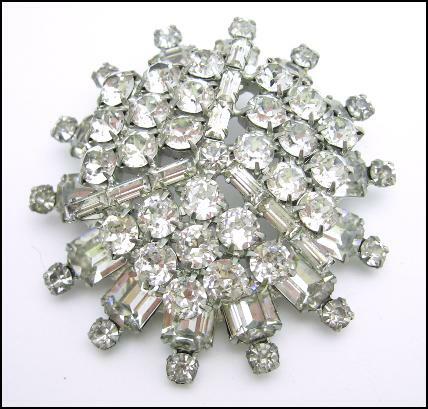 The bottom level has rectangular cut stones with smaller round cuts along the outer edge. 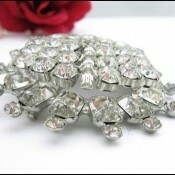 This is a fantastic sparkly brooch from a designer of known quality! 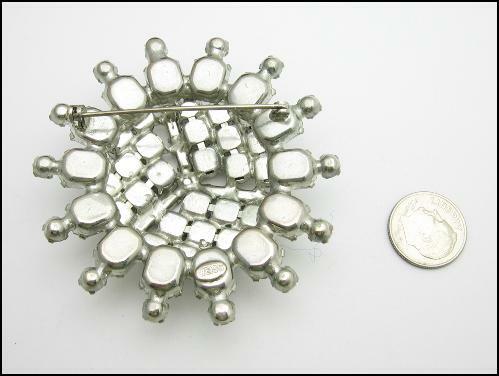 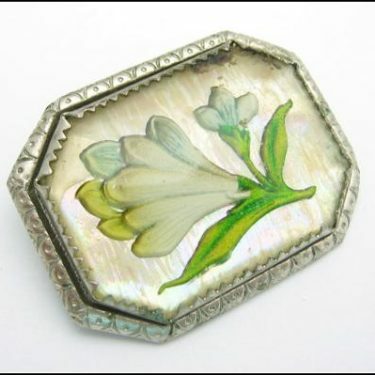 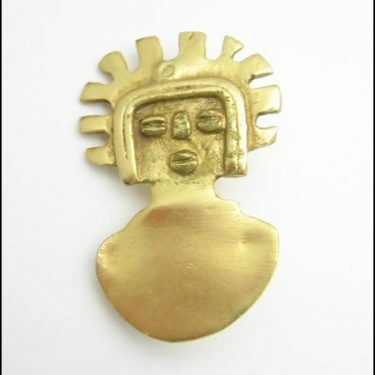 This fantastic brooch measures 2 3/8″ across and has a depth of 1/2″. 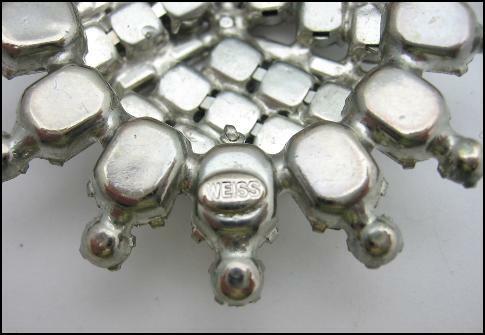 There is some scratching and a bit of finish wear. 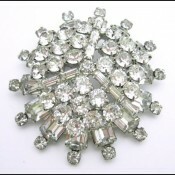 ALL rhinestones are present, but some have begun to dull with age. 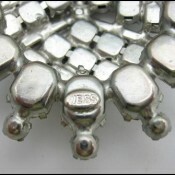 SKU: 1011. 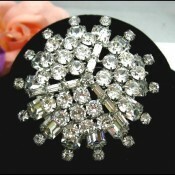 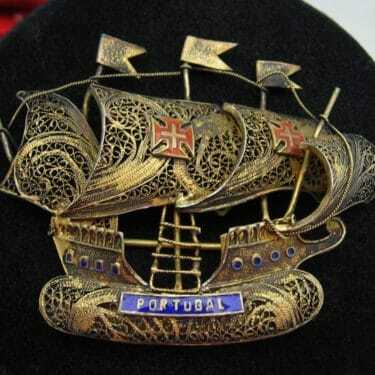 Categories: Brooches/Pins, Designer Signed, Rhinestones. 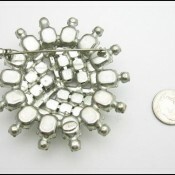 MEASUREMENTS: Measures 2 3/8″ across and has a depth of 1/2″. 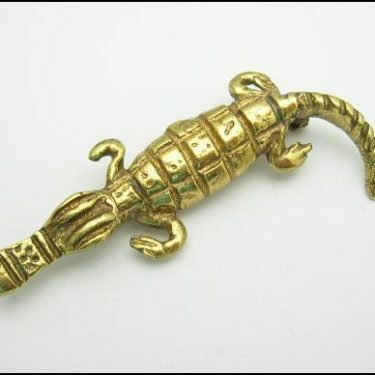 CONDITION: There is some scratching and a bit of finish wear. ALL rhinestones are present, but some have begun to dull of yellow with age.